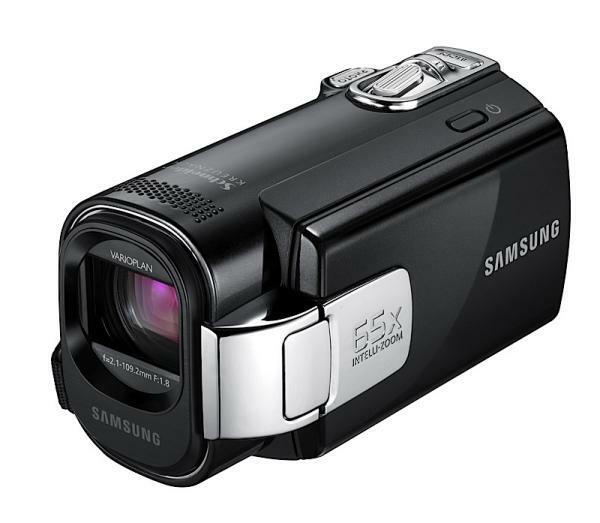 Samsung announced a series of new camcorders at CES 2010, each optimized to work seamlessly with YouTube. The Samsung SMX-F40, SMX-F43 and SMX-F44 camcorders do this via Samsung’s Intelli-studio 2.0 software, which lets you edit, play and upload videos from any PC. The interesting thing about Intelli-studio 2.0, though, is that all of the software is contained and executed within the camcorder itself. In other words, you don’t need to install any software onto the PC. You simply plug the camcorder into a PC via USB, and start editing, viewing or uploading. The actual software runs on the camcorder itself, so you don’t need to worry about bringing a CD with you to get the editing software onto the PC you’re planning to use. This is a nice feature. Not quite as easy as automatically uploading videos to YouTube via WiFi, but at least it cuts down on a lot of hassle, and lets you upload your videos from pretty much anywhere – even Internet cafes – with the minimum of fuss. The cameras themselves aren’t bad, either. They each offer 65x zoom (52x optical), offer a timelapse recording option, 4 hours of continuous shooting, and capture over 6 hours of video per 16GB SD card. You can also use the camcorders as a digital camera, taking 1.9 megapixel images with 1600×1200 resolution. Annoyingly, they only 720p HD, but this should at least keep the cost down when they’re launched in February(ish!) 2010.